To configure WAV Conversion Settings, click Formats >> WAV >> Configure. 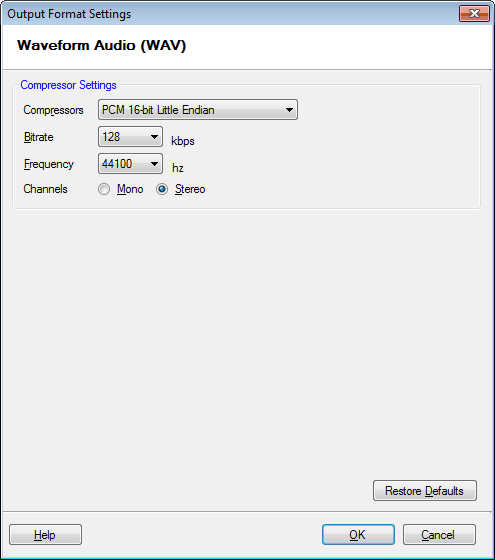 By default, the compressor that is selected is PCM 16-bit Little Endian. You can change the compressor from the drop-down menu. The frequency is set at 44100 Hz, bitrate at 128 Kbps and audio channel on Stereo.